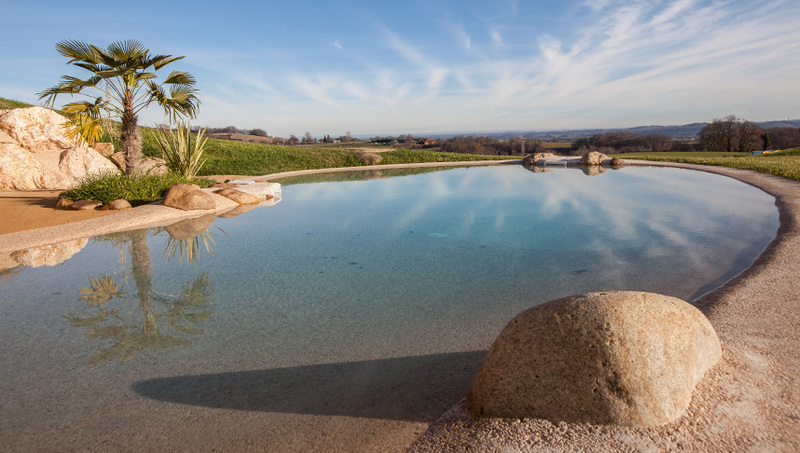 The days of the blue rectangle are behind us: with NaturaSwim, we invite you to wander gently into a pool, with its lagoon atmosphere, that enhances your outdoor space like no other. 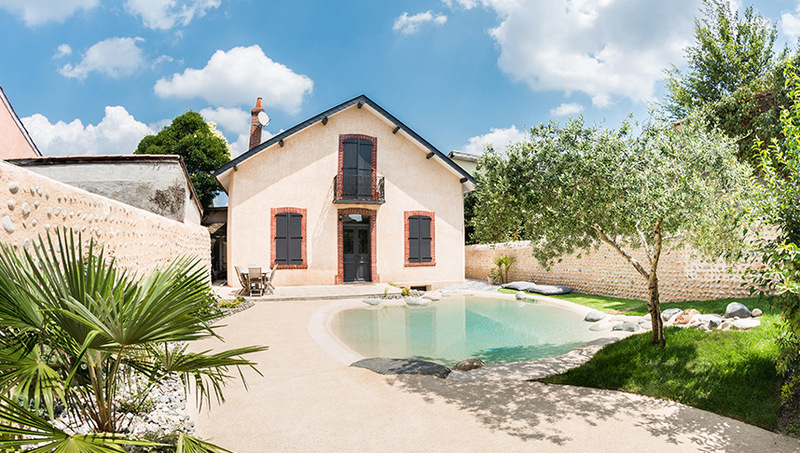 You have complete freedom in choice of shape, you have colors worthy of the most beautiful natural lagoons, you have outdoor bathing that is secure and accessible to all. 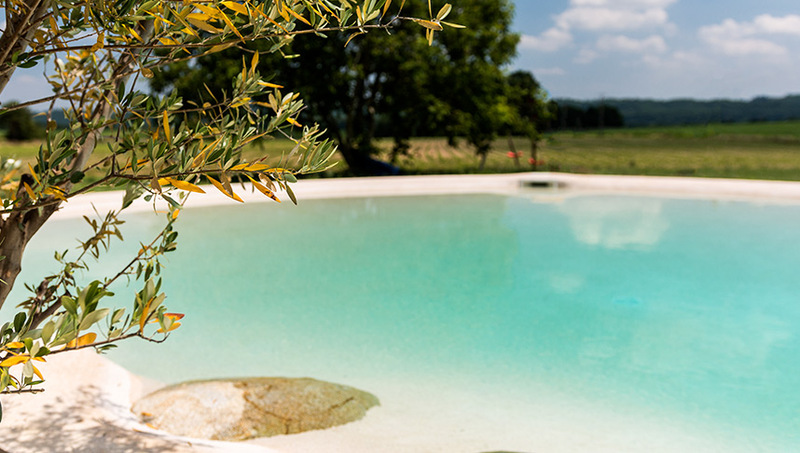 Thanks to the implementation of our highly innovative concrete finish, NaturaDream offers you the ongoing delight of a lagoon pool that just oozes quiet and relaxation, at an unbeatable price! 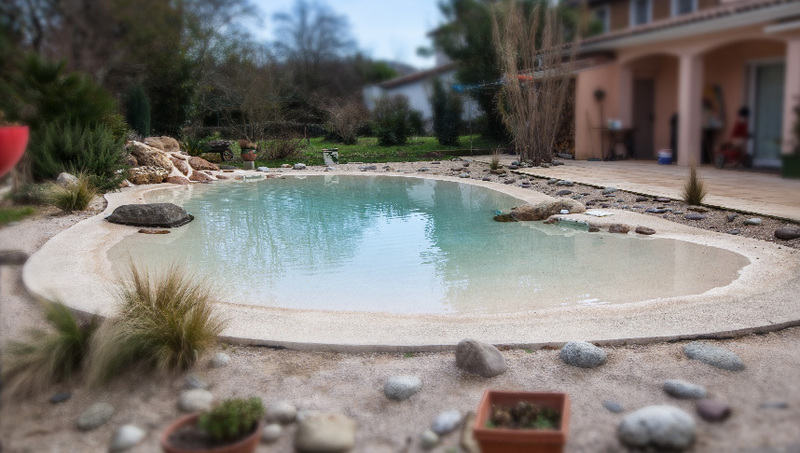 Thanks to the simplicity of the implementation of our concrete stone finish, NaturaDream offers you a custom lagoon pool for less than the price of a conventional pool: your dream becomes reality! 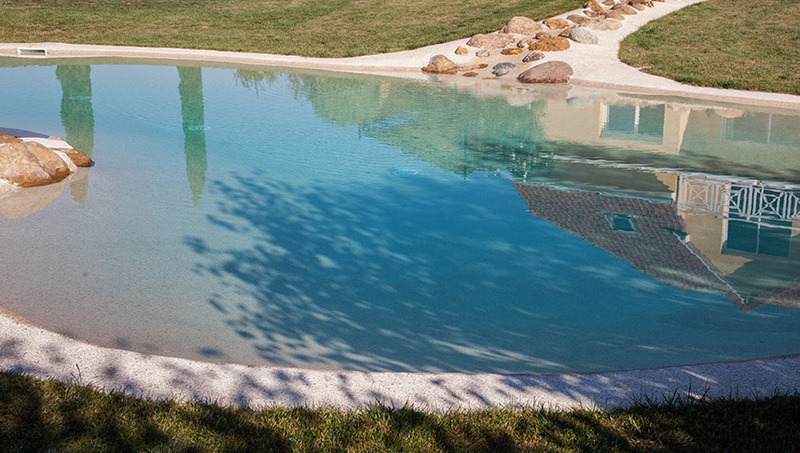 A NaturaSwim pool looks after itself with a simple pool vacuum sweeper and adapts to any type of water sterilization. 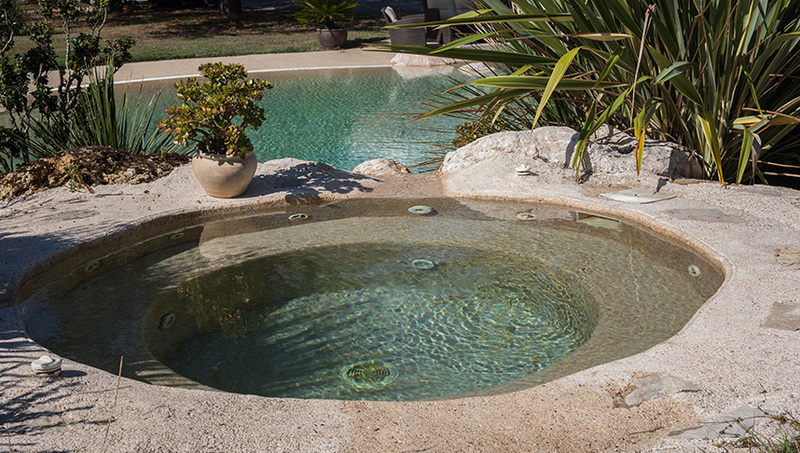 Without a top coating, and with a water volume well below that of a conventional pool, NaturaSwim's filtration and sterilization costs are up to 50% below those of a traditional pool. 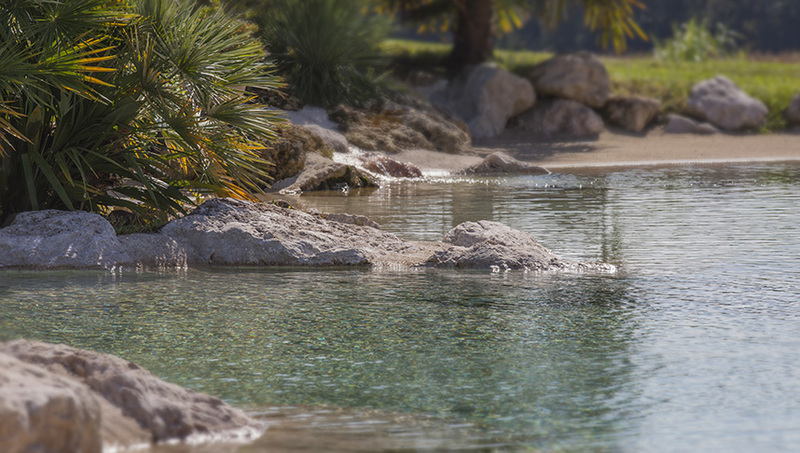 The gentle slopes of NaturaSwim are revolutionary in terms of pool safety: You get into the water gradually, with plenty of time to react if a child or a four-legged friend comes in unexpectedly. No more falling into the deep end! 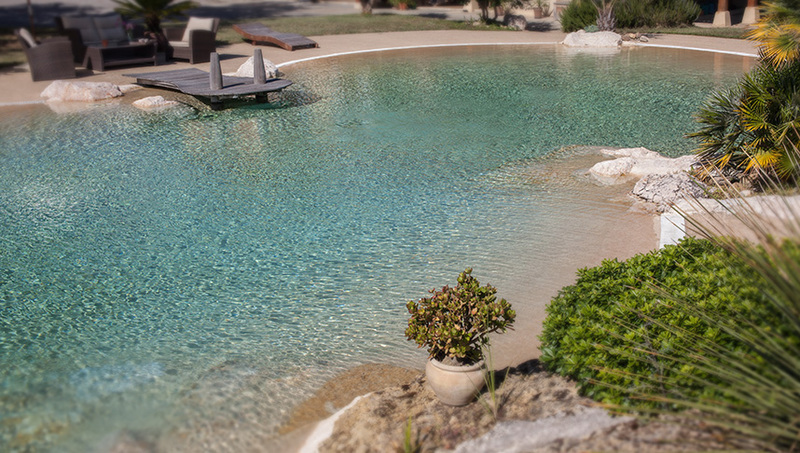 With a gentle sloping access into the pool, discover the comfort of a swim on the beach, where everyone is free to wade, sit, lie down in the water... and where the toddlers as well as the elderly can take part in all waterside pleasures in complete safely! 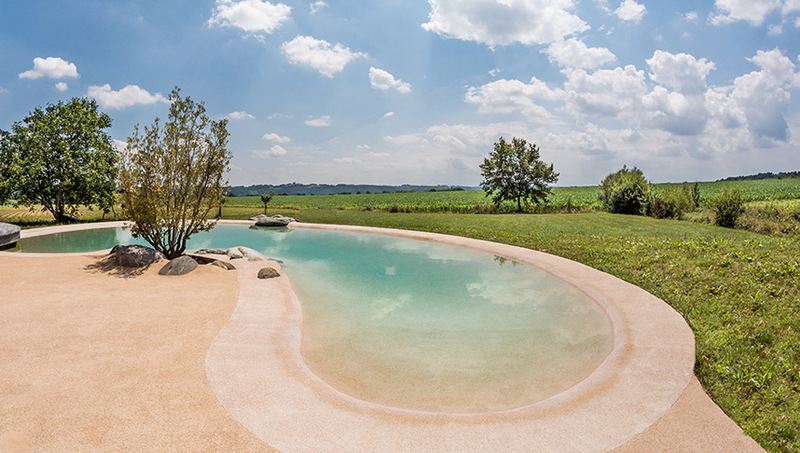 The unique properties of reconstituted stone concrete give free scope to your imagination: the possibilities in terms of shapes are endless, paving the way for elegant curves, the submerged beaches around the pool becoming the norm, and the natural stone color of the dyed concrete give the water its lagoon coloring. 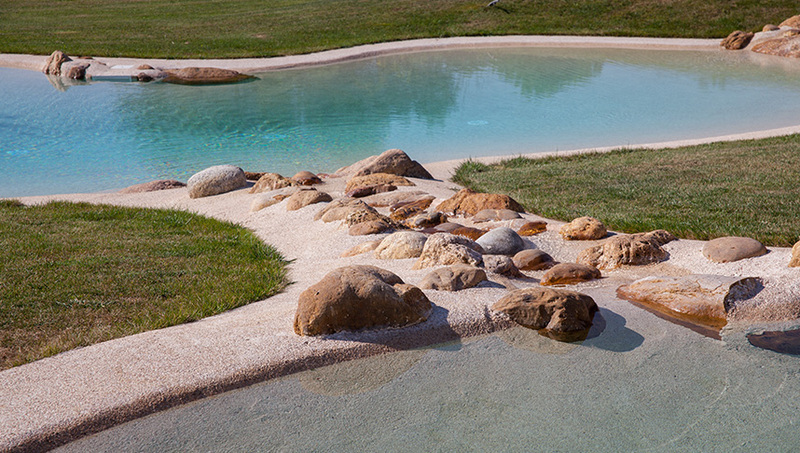 Add to that the ability to integrate natural rocks into your pool area, or to create the relaxing ambiance of a waterfall, and the freedom to choose without limit a size and depth of bathing area that match your wishes, and you get to the heart of the NaturaSwim concept: the unbridled joy of feeling on vacation whilst at home. 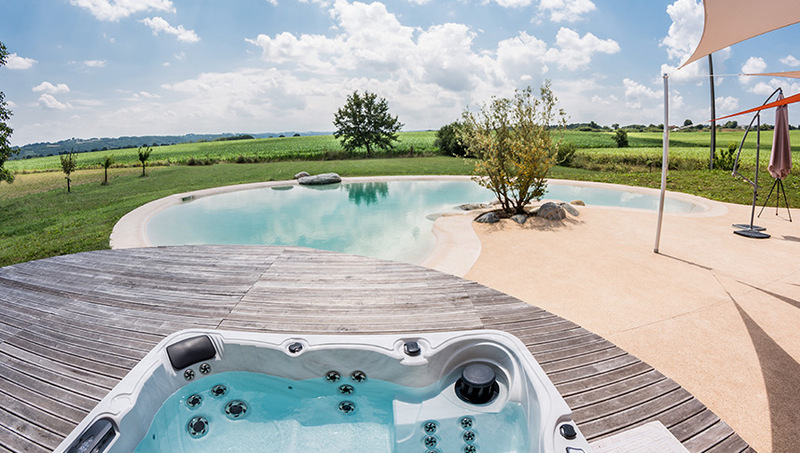 With its reduced water volume, the NaturaSwim pool heats up much faster than a conventional pool: you can extend the usable period of you pool by months. 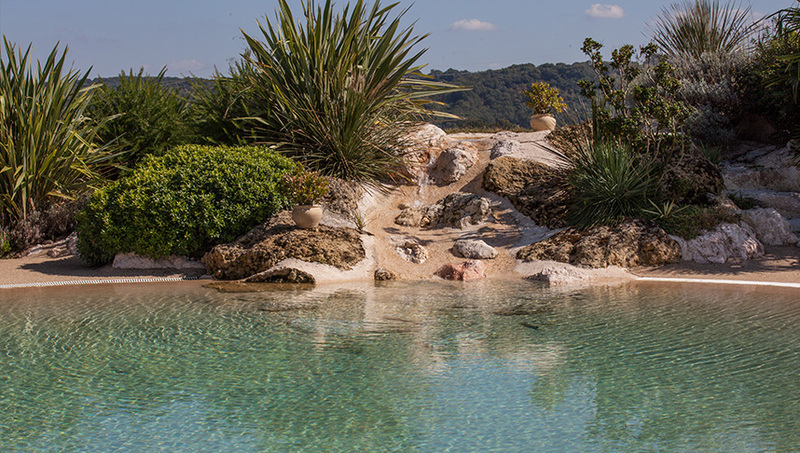 You continue to enjoy this exceptional landscape feature throughout the year: NaturaSwim, which neither needs to be emptied nor covered, is a soothing feature to your private space. 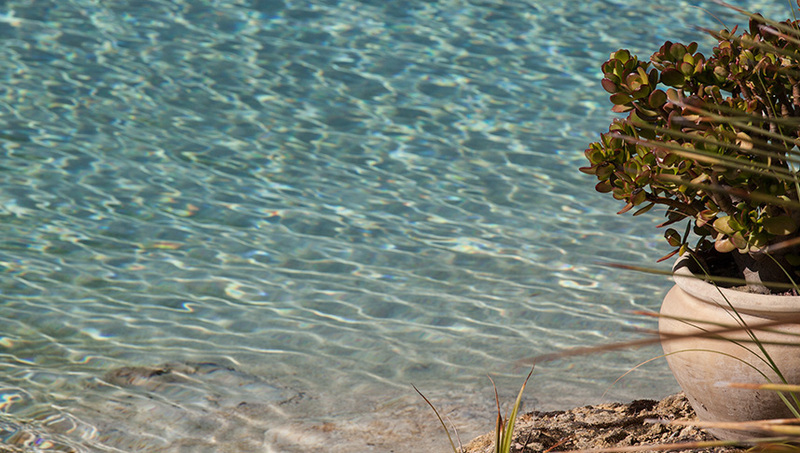 Depending on lighting and season, it offers a veritable symphony of colors to delight your senses. 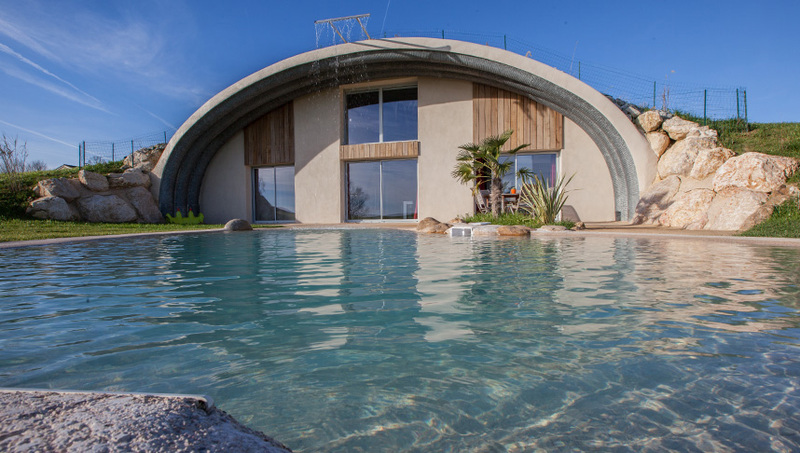 Developed and patented for this specific application, reconstituted stone concrete carries out, in one go, the essential functions of load bearing and sealing of the pool area, as well as the finish of the pool. 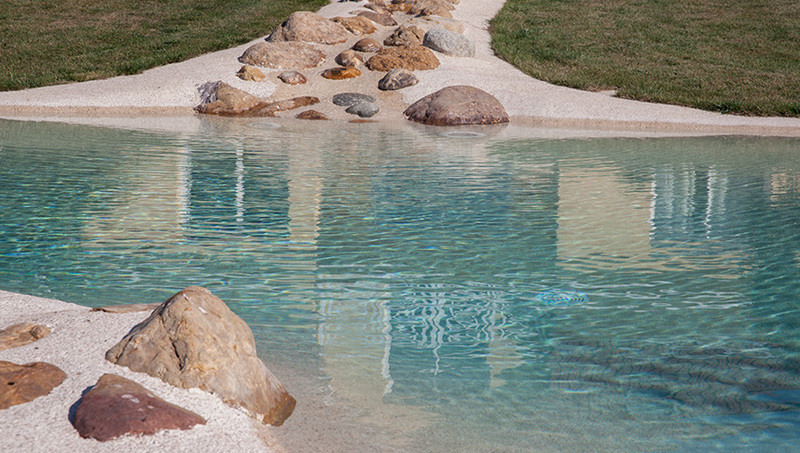 The result is striking: visually, you recreate the natural stone shades that make the famous turquoise waters of Polynesia so beautiful; to the touch, you get a very pleasant texture, combining both soft and anti-slip properties. 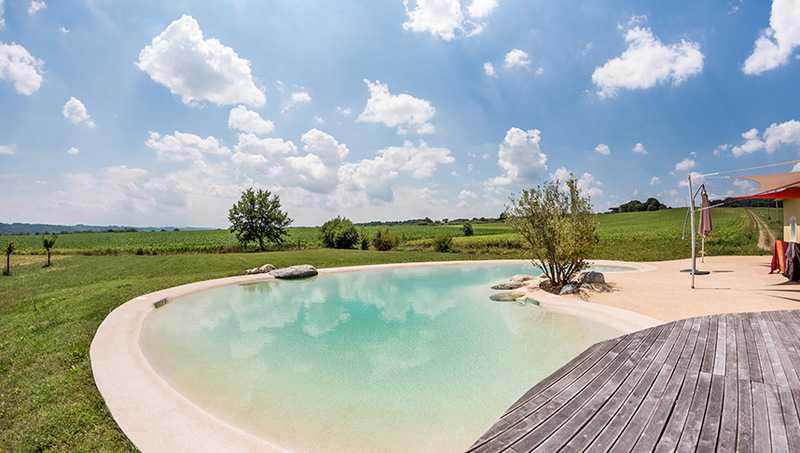 The implementation of this material that extends the boundaries of swimming pool construction is simple and rapid. 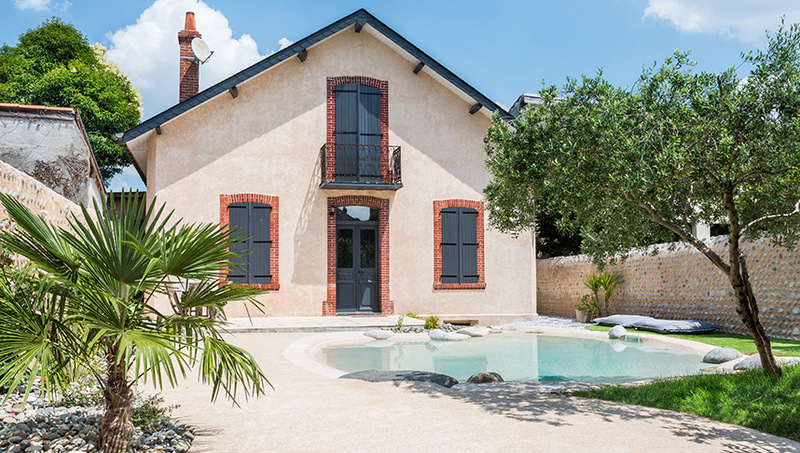 Due to its natural grip on sloping land it doesn't require the use of any mechanical projections. 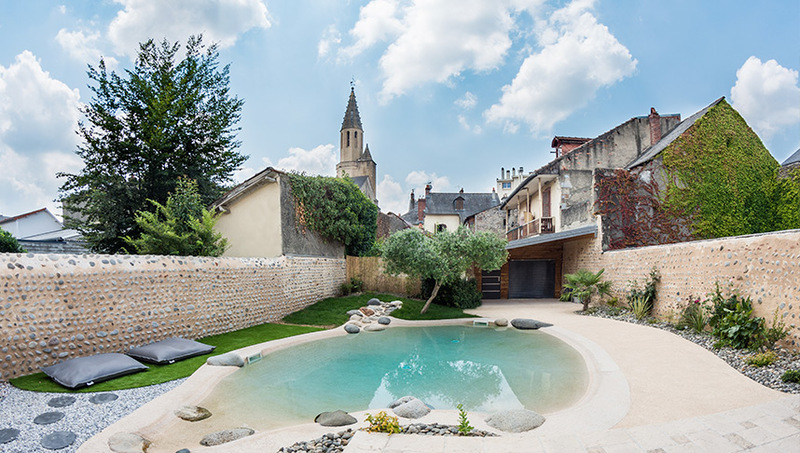 Finally, the low thermal inertia of stone concrete combined with a tailor-made formulation and implementation allow the development of considerably large pool.